From a camp where I run away from zombies to a camp where I learn to be a ninja. Probably could’ve used the skills from the latter in the former, but waddyagonnado? Anyway, I had participated in the Kickstarter campaign for Ninja Camp from Action Phase Games. I’d played a demo of it at last year’s CMON Expo (and wrote up a review that you can read here) and liked it enough that I wanted in on it as soon as possible. Well, the Kickstarter campaign long since ended and backers are starting to get their sets. I got mine and figured I’d give you a look inside. 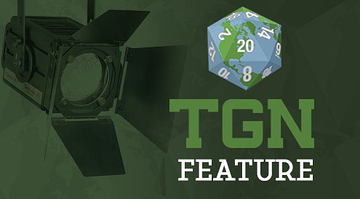 So grab your merit badges, it’s time for another TGN Unboxing. 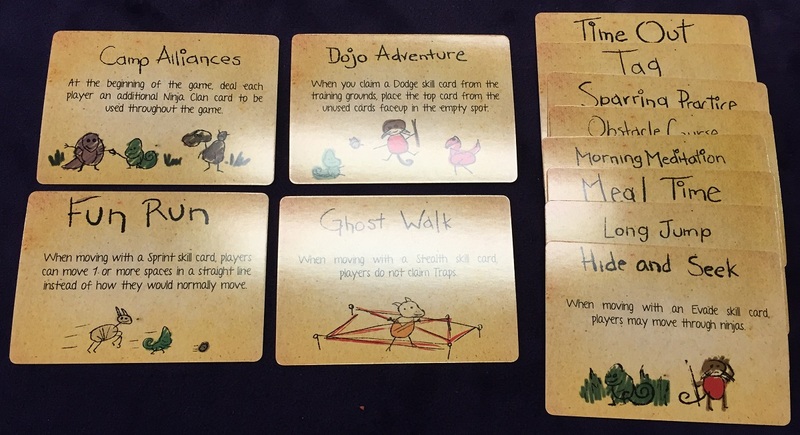 This time it’s Ninja Camp by Action Phase Games. Opening up the box we get a look inside. 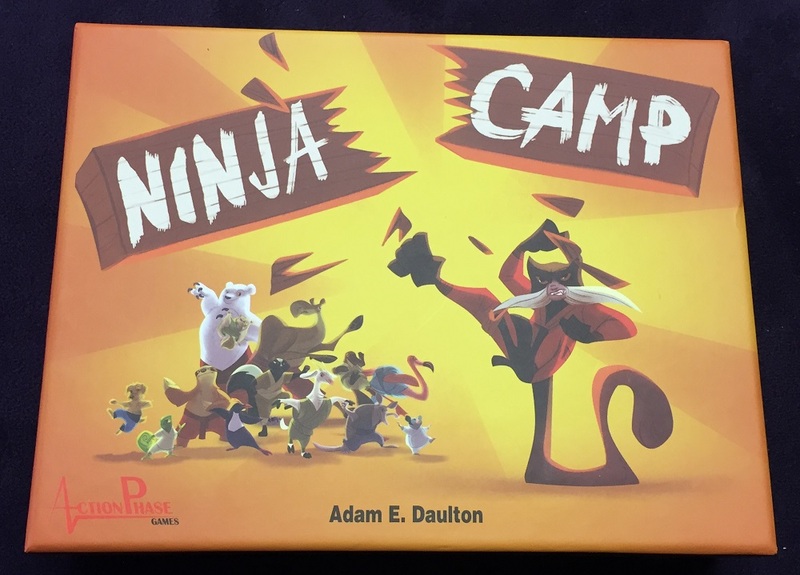 The rulebook sits on top of the box that is divided into two sides. One side has all the action cards you will be using. The other has the different ninja clans that you can be in the game, along with the little baggie of meeples. 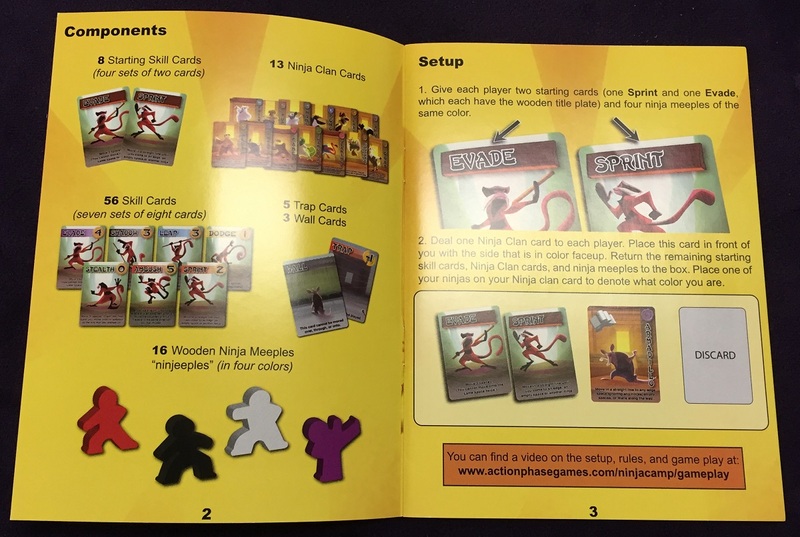 The rulebook is 12 pages long (including front and back cover). Obviously, it lays out the rules of the game, including plenty of pictures to help out. There’s also an FAQ, as well as a turn breakdown on the back cover. Both are rather helpful when playing. 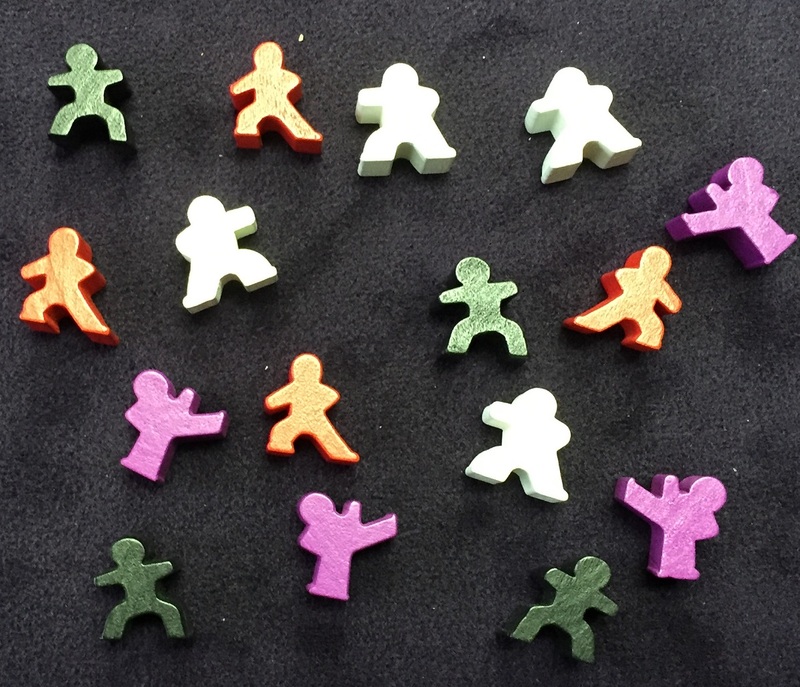 You get four different styles of meeple in the bag, each differentiated by color and pose. Yes, the ones standing on one leg stand up just fine. You only use three meeples during the course of the game, so the extra is, I guess, in case one gets lost or to keep one in front of you so you remember which ones are yours. 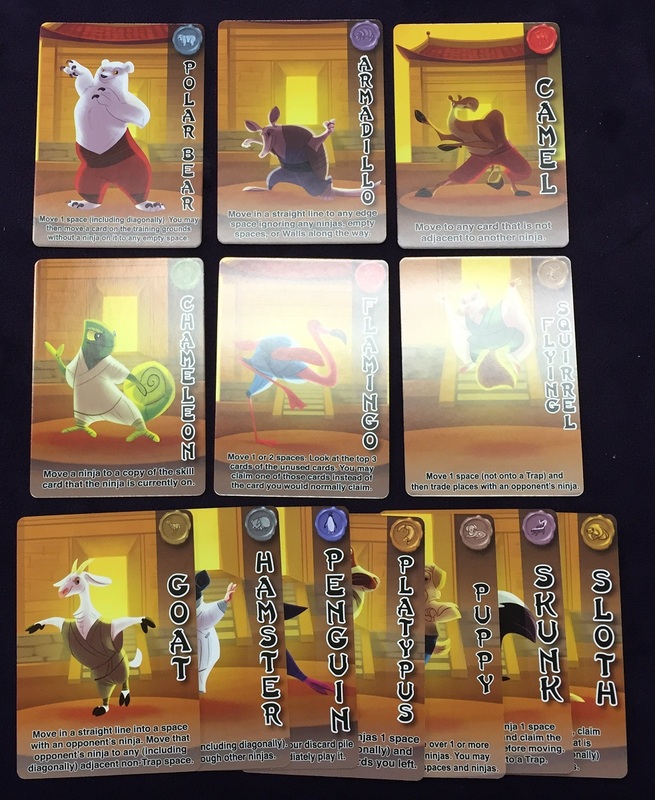 Getting a closer look at the ninja clan cards, there are 13 in the box (guess which one is my favorite). Each one has a different special ability that you can use once per game. 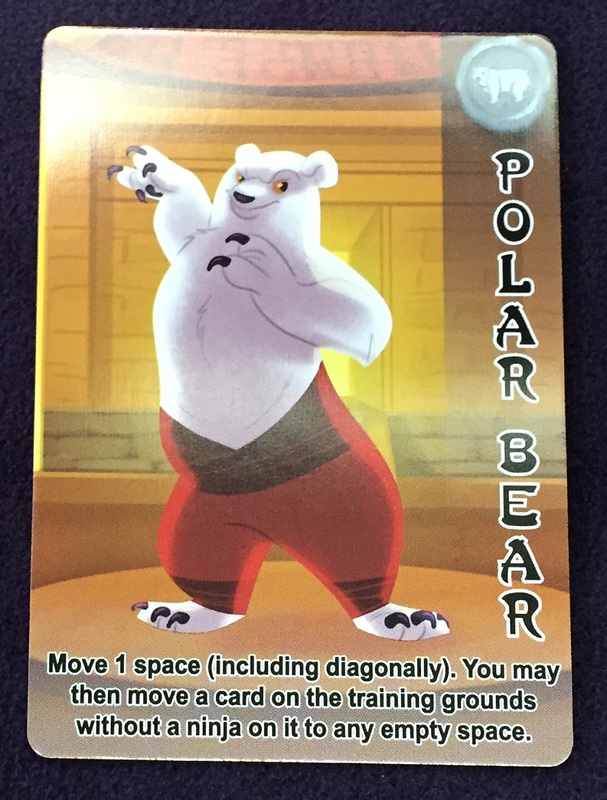 The reverse of the card is the same picture as the front, but greyed out and doesn’t have the special ability text. When you use your ability, you flip the card over. Over on the ability cards side, there are the starter cards and the cards you use to set up the board. The starter cards have a wooden board behind the name to help differentiate them. 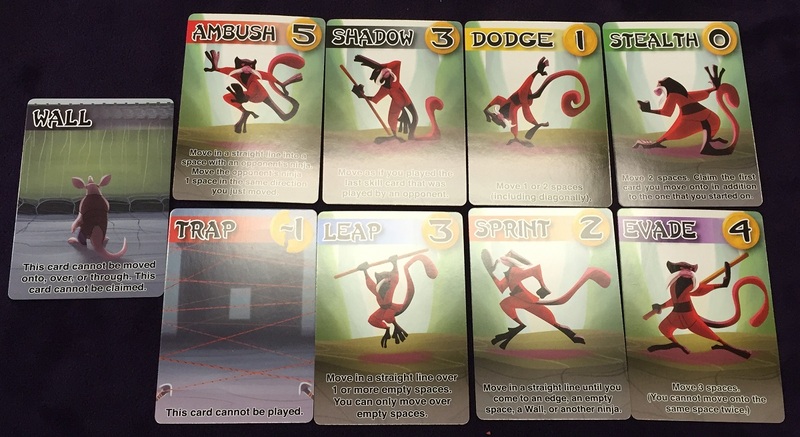 The other cards represent the different maneuvers you can learn and use throughout the game. They also have the point cost that those moves are worth if you have them at the end of the game. There are 9 different cards. There are 8 of each card, except for Trap (of which there are 5) and Wall (of which there are 3). That’s more cards than you’ll use in a single game, so you never know exactly what amount of any one card will be on the board when you play. For the Kickstarter, I also opted to get the Badges and Activities Pack. These fit nicely in with the regular cards in the box. So there’s no worry about them not fitting. 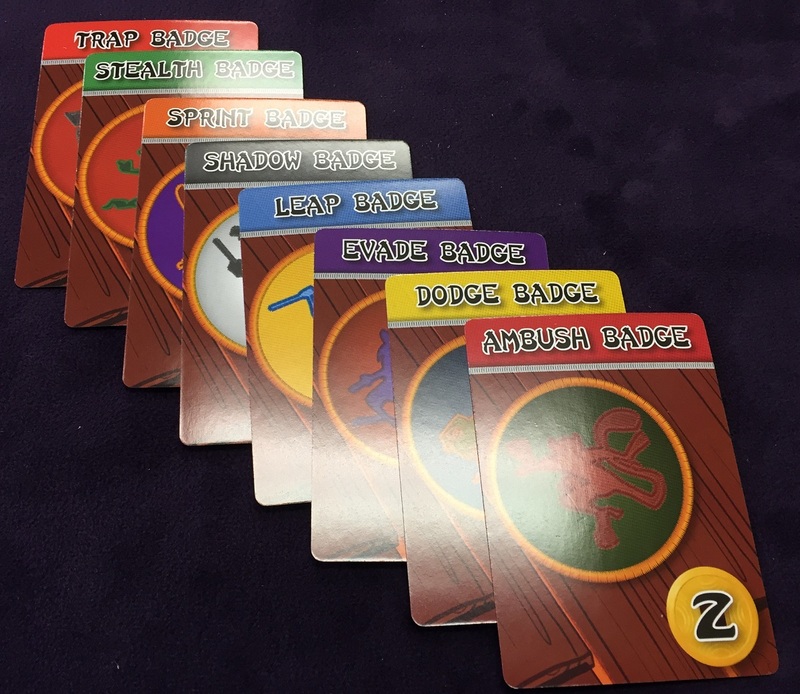 This pack adds in a bunch of extra cards to augment your game of Ninja Camp. For the Badges, you shuffle the deck and draw one at the start of the game. Then, whichever player has the most of that type of move at the end of the game, they get the badge, getting them a couple bonus points. Considering how close scoring can be in a game, those couple points might make all the difference. As for the Activities, they are another way to change up how Ninja Camp plays. Like Badges, you draw one at the beginning of the game and follow the instructions on the card. They might change how one of the ability cards work, or give bonus points for accomplishing certain things during the course of the game. Like with the Badges, the bonus points (if any) might not be a lot, but they can potentially cause you to win. So there you have it, a quick look inside Ninja Camp. Pre-orders for the game are being taken now.